Hey Scrapers! It's almost time to start the new year! 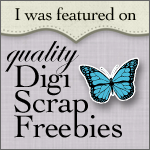 I'm going to tell you I'm going to resolve to scrap more! I really need to! so with no new release for you today, I decided to hurry up and make that little kit for new years i wanted to make and give it away for free for alittle bit, just because i love my fans :) also dont forget my winter and winter holiday kits are 50% off today and tomorrow! there are some good deals to snag! plus if you spend $10 you'll get $10! this freebie will only be for this weekend, after that you'll only be able to pick it up in my shop. Have a great and safe weekend, and a Happy New Year, and I'll be back next year! Thank you so much for this post. 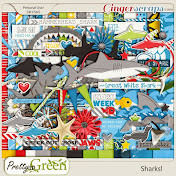 I want to let you know that I posted a link to your blog in CBH Digital Scrapbooking Freebies, under the Page 2 post on Dec. 31, 2011. Thanks again. the mouse is super cute! Thank you for this lovely mini kit! Happy New Year to you and your family. WHat a cute kit - many thanks and I hope 2012 holds many blessings for you! Thanks this is really sweet. Thank you so much for this super cute freebie! I love the mouse!! Thanks so very much and Happy New Year!!! I'm a stay at home mom, to two little crazy kids, Ana, my sweet little dare devil girl, and Gage my loving little smartypants boy, lol. My Loving Husband and silly kids are the inspirations for my designs. 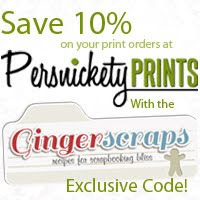 I've been a Digital Scrap booking Designer for over four years, and a scraper for longer. I'm absolutely addicted to this hobby, and couldn't imagine life with out it and its unlimited possibilities. on this blog you'll find my designs, other crafts, designs, or recipes that inspire me. I hope you enjoy reading. RGilmore1130@icloud.com, Make sure to have Scrap Question in your Subject line, so that I know it's not spam. Or you can find me on my Facebook Page or at Ginger Scraps and send me a PM. March 2014 Buffet, and Freebie!